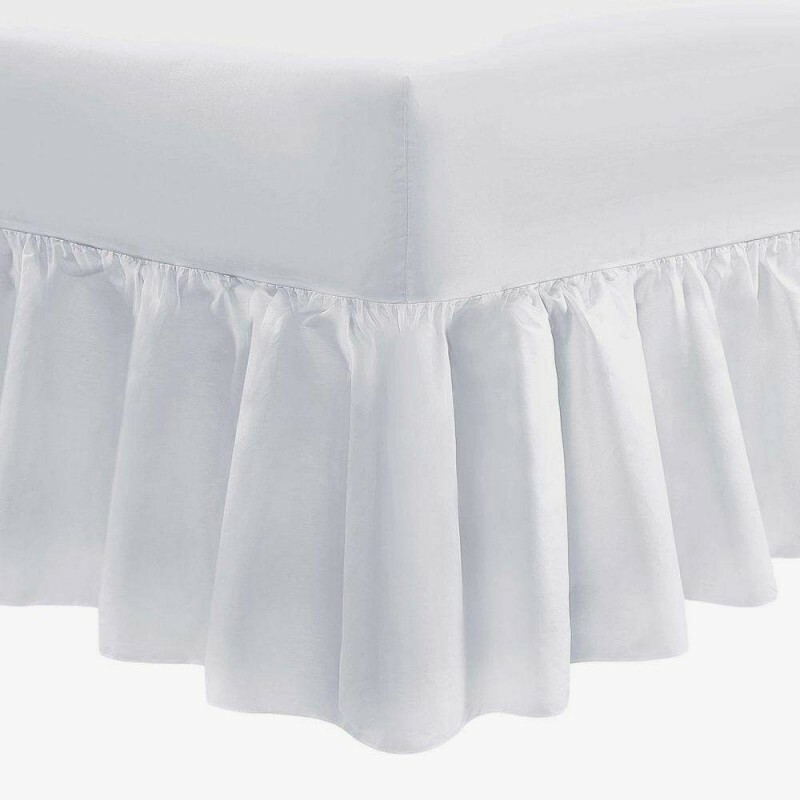 Combines your fitted sheet with an added valance frill. 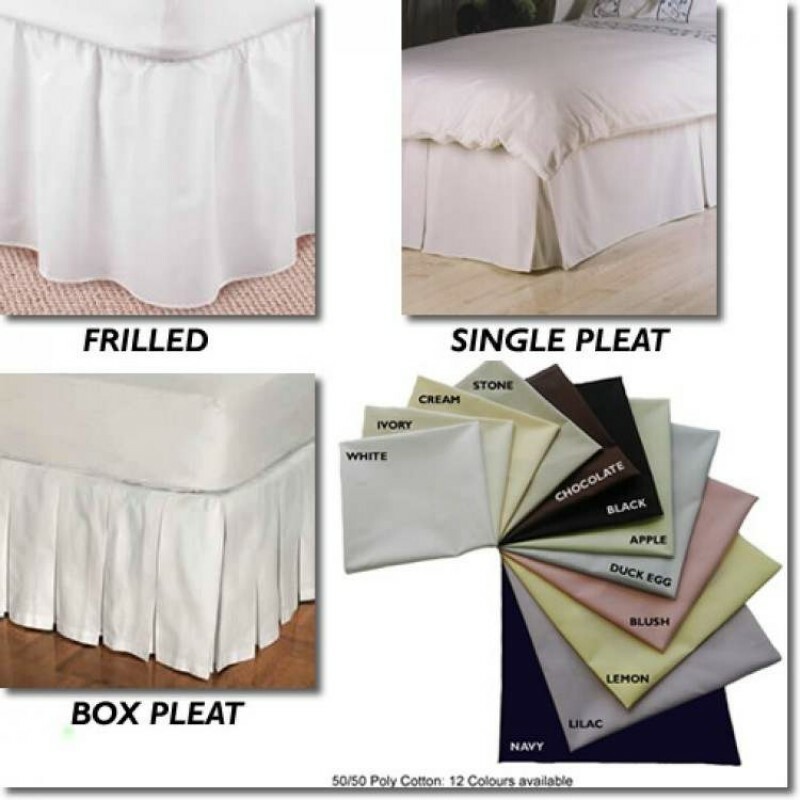 The sheet fits over your small double mattress and the frill drops around the divan base making it easy to fit and easy to change when it comes to laundry time. Small Double beds are slightly smaller than UK double, (about 6 inches shorter). They are a great if you want a double bed but don't quite have the room for a 4ft 6" bed. As a non standard size bed linen for 4ft beds can be difficult to source, its not readily available in supermarkets or home stores. Fitted Valance Sheets made to any 4ft mattress depth and frill drop. 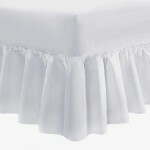 We make valance sheets to fit small double beds perfectly. The linen is cut from the roll here in our UK workshop so we can make to any mattress depth and frill drop you need. 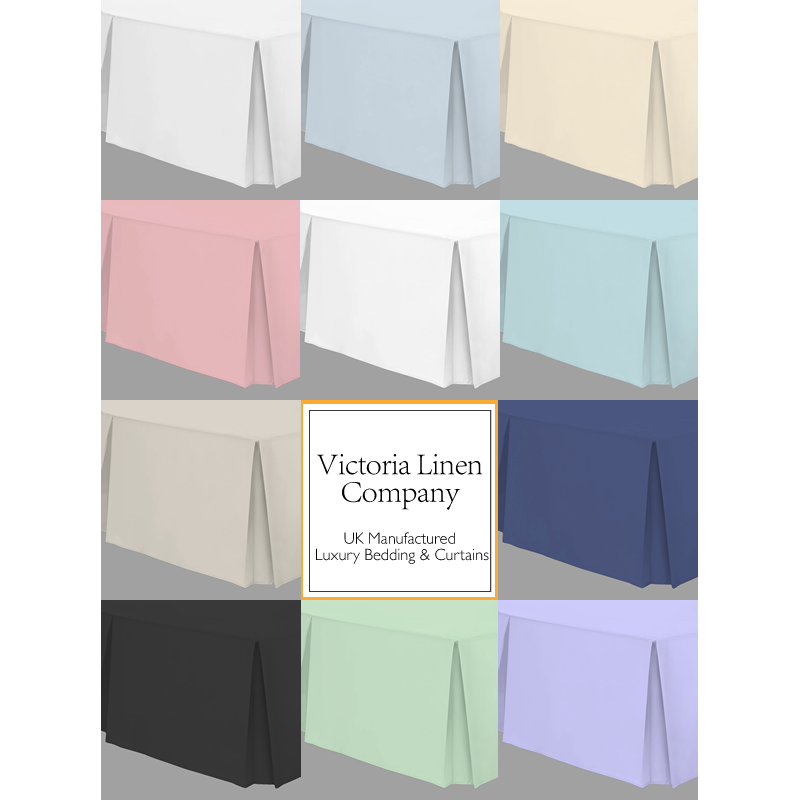 Machine washable, tumble dryable, easy iron fabric. Please use the image as a guide. 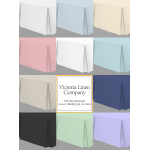 Samples available, to receive these or for more information please call 01706 220020 or email us your details. *Fabric yarns are combed before weaving to remove knots, ensuring a soft and long lasting fabric.